LOS ANGELES, CA (December 18, 2018) – BOOM! 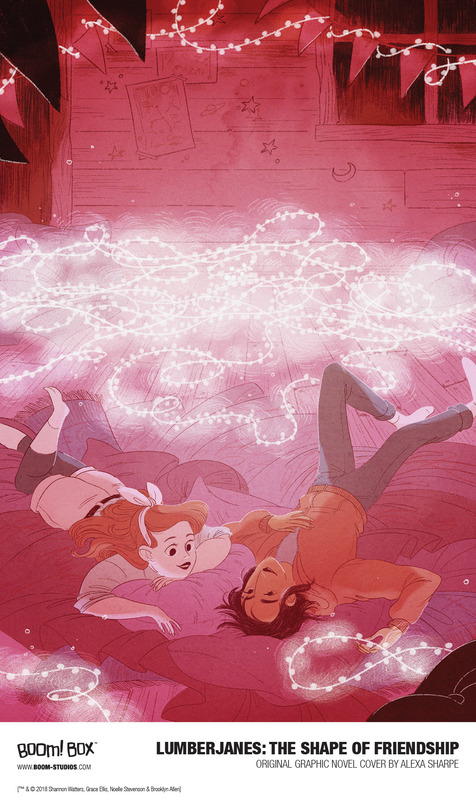 Studios today announced LUMBERJANES: THE SHAPE OF FRIENDSHIP, an all-new original graphic novel reuniting the highly praised Lumberjanes: The Infernal Compass team of writer Lilah Sturges (The Magicians: Alice’s Story, Jack of Fables) and artist polterink. LUMBERJANES: THE SHAPE OF FRIENDSHIP will be available in stores in November 2019.